You’ve read the reviews and digested the key feature enhancements and operational changes. Now it’s time to delve a bit deeper and uncover some of Windows XP’s secrets. 1. It boasts how long it can stay up. Whereas previous versions of Windows were coy about how long they went between boots, XP is positively proud of its stamina. Go to the Command Prompt in the Accessories menu from the All Programs start button option, and then type ‘systeminfo’. The computer will produce a lot of useful info, including the uptime. If you want to keep these, type ‘systeminfo > info.txt’. This creates a file called info.txt you can look at later with Notepad. (Professional Edition only). 2. You can delete files immediately, without having them move to the Recycle Bin first. Go to the Start menu, select Run… and type ‘gpedit.msc’; then select User Configuration, Administrative Templates, Windows Components, Windows Explorer and find the Do not move deleted files to the Recycle Bin setting. Set it. Poking around in gpedit will reveal a great many interface and system options, but take care — some may stop your computer behaving as you wish. (Professional Edition only). 3. You can lock your XP workstation with two clicks of the mouse. Create a new shortcut on your desktop using a right mouse click, and enter ‘rundll32.exe user32.dll,LockWorkStation’ in the location field. Give the shortcut a name you like. That’s it — just double click on it and your computer will be locked. And if that’s not easy enough, Windows key + L will do the same. 4. XP hides some system software you might want to remove, such as Windows Messenger, but you can tickle it and make it disgorge everything. Using Notepad or Edit, edit the text file /windows/inf/sysoc.inf, search for the word ‘hide’ and remove it. You can then go to the Add or Remove Programs in the Control Panel, select Add/Remove Windows Components and there will be your prey, exposed and vulnerable. 5. For those skilled in the art of DOS batch files, XP has a number of interesting new commands. These include ‘eventcreate’ and ‘eventtriggers’ for creating and watching system events, ‘typeperf’ for monitoring performance of various subsystems, and ‘schtasks’ for handling scheduled tasks. As usual, typing the command name followed by /? will give a list of options — they’re all far too baroque to go into here. 6. XP has IP version 6 support — the next generation of IP. Unfortunately this is more than your ISP has, so you can only experiment with this on your LAN. Type ‘ipv6 install’ into Run… (it’s OK, it won’t ruin your existing network setup) and then ‘ipv6 /?’ at the command line to find out more. If you don’t know what IPv6 is, don’t worry and don’t bother. 7. You can at last get rid of tasks on the computer from the command line by using ‘taskkill /pid’ and the task number, or just ‘tskill’ and the process number. Find that out by typing ‘tasklist’, which will also tell you a lot about what’s going on in your system. 8. XP will treat Zip files like folders, which is nice if you’ve got a fast machine. On slower machines, you can make XP leave zip files well alone by typing ‘regsvr32 /u zipfldr.dll’ at the command line. If you change your mind later, you can put things back as they were by typing ‘regsvr32 zipfldr.dll’. 9. XP has ClearType — Microsoft’s anti-aliasing font display technology — but doesn’t have it enabled by default. It’s well worth trying, especially if you were there for DOS and all those years of staring at a screen have given you the eyes of an astigmatic bat. To enable ClearType, right click on the desktop, select Properties, Appearance, Effects, select ClearType from the second drop-down menu and enable the selection. Expect best results on laptop displays. If you want to use ClearType on the Welcome login screen as well, set the registry entry HKEY_USERS/.DEFAULT/Control Panel/Desktop/FontSmoothingType to 2. 10. You can use Remote Assistance to help a friend who’s using network address translation (NAT) on a home network, but not automatically. Get your pal to email you a Remote Assistance invitation and edit the file. Under the RCTICKET attribute will be a NAT IP address, like 192.168.1.10. Replace this with your chum’s real IP address — they can find this out by going to www.whatismyip.com — and get them to make sure that they’ve got port 3389 open on their firewall and forwarded to the errant computer. 11. You can run a program as a different user without logging out and back in again. Right click the icon, select Run As… and enter the user name and password you want to use. This only applies for that run. The trick is particularly useful if you need to have administrative permissions to install a program, which many require. Note that you can have some fun by running programs multiple times on the same system as different users, but this can have unforeseen effects. 13. You can start up without needing to enter a user name or password. Select Run… from the start menu and type ‘control userpasswords2’, which will open the user accounts application. On the Users tab, clear the box for Users Must Enter A User Name And Password To Use This Computer, and click on OK. An Automatically Log On dialog box will appear; enter the user name and password for the account you want to use. 14. Internet Explorer 6 will automatically delete temporary files, but only if you tell it to. Start the browser, select Tools / Internet Options… and Advanced, go down to the Security area and check the box to Empty Temporary Internet Files folder when browser is closed. 15. XP comes with a free Network Activity Light, just in case you can’t see the LEDs twinkle on your network card. Right click on My Network Places on the desktop, then select Properties. Right click on the description for your LAN or dial-up connection, select Properties, then check the Show icon in notification area when connected box. You’ll now see a tiny network icon on the right of your task bar that glimmers nicely during network traffic. 17. You can rename loads of files at once in Windows Explorer. Highlight a set of files in a window, then right click on one and rename it. All the other files will be renamed to that name, with individual numbers in brackets to distinguish them. Also, in a folder you can arrange icons in alphabetised groups by View, Arrange Icon By… Show In Groups. 18. Windows Media Player will display the cover art for albums as it plays the tracks — if it found the picture on the Internet when you copied the tracks from the CD. If it didn’t, or if you have lots of pre-WMP music files, you can put your own copy of the cover art in the same directory as the tracks. Just call it folder.jpg and Windows Media Player will pick it up and display it. 20. The next release of Windows XP, Windows Vista, came out around a year ago and didnt provide much features to knock off Windows XP from User’s PC’s. Gateway has presented its latest addition to the P-Series FX Edition. This notebook comprises of the new Intel Core 2 Quad processor Q9000 (2.0GHz, 6MB L2 cache, 1066MHz FSB), a feature never before seen in this series. This will take entertainment, gaming and digital media to a whole new level. The Gateway P-7808u FX Notebook has a 17 inch widescreen and a 1440×900 resolution for crystal-clear viewing. The notebook is a treat for gamers as it includes NVIDIA GeForce 9800M GTS graphics solution with 1GB of GDDR3 video memory which brings color and life into gaming. Multi-Format Dual Layer DVDRW with DVD-RAM includes LabelFlash Technology, which allows you to label your CDs with pictures and texts, is also included. With 4GB memory and 500GB hard drive, loads of music, pictures and videos can be stored. There is also a 5-in-1 digital media card reader and a built-in 1.3 megapixel webcam. For easy access to your multimedia features, there are illuminated buttons located on the keyboard and volume can be adjusted with the touch control slide. 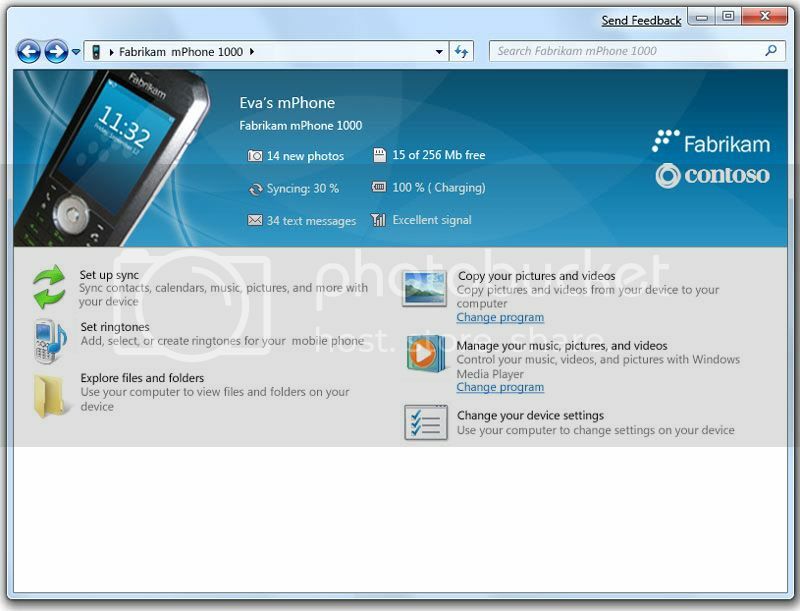 One can even share their pictures, videos and music by attaching the Gateway P-7808u FX Notebook to other devices like TV or stereo through a single connection. It also has three USB ports and an IEEE 1394b port. For connection to external storage devices, the eSATA port can be utilized. WiFi is accessible as it includes Intel WiFi Link 5100 802.11 a/g/Draft-N wireless. This notebook uses Microsoft Windows Vista Home Premium 64-bit edition and also Adobe Reader, Microsoft Works 9.0 SE and a 60-day trail of Microsoft Office Home and Student 2007. Gateway guarantees a one year warranty on its P-7808u FX Notebook with a retail price of $1,799.99 and is available through online retailers. 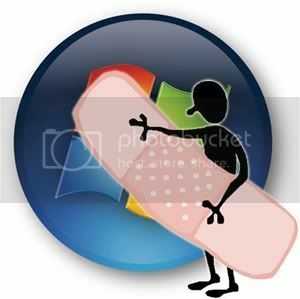 A flaw was found in Windows Vista which can allow rootkits to be planted. As well as to allow DoS attacks to be used against it. This flaw was found in October by Thomas Unterleitner of Austrian security company Phion. Microsoft was informed about this flaw and they will be releasing a fix for it in the next Vista service pack. He also suggests that other versions of Microsoft’s operating system could very well be affected also. Both 32-bit and 64-bit versions are vulnerable. Windows XP is not affected he assured. Unterleitner mentioned that you need administrative rights to execute a program calling the function that would cause the buffer overflow. However, he also said it was possible that someone could use a malformed DCHP packet to take control without admin access. Ironically, the seven-member panel spent much of the time (over an hour) discussing shortfalls — hardware limitations, driver support, and setup and misconfiguration issues — that have plagued Vista installs. Hardware platforms and drivers have hindered Vista implementations in the past. However, the key to success for IT administrators is to introduce Vista with new hardware, according to panel member David Straede. He added that IT admins need to make sure that the builds are optimized for the desired platforms. Straede’s experience with Vista included a large deployment for a law enforcement organization. “We found that creating a great install with the latest patches, the latest features and the latest drivers can make a world of difference to the desktop user,” said Rose, who also recommended creating a patching system outside the Microsoft patching system to make sure all components within the ecosystem are current.